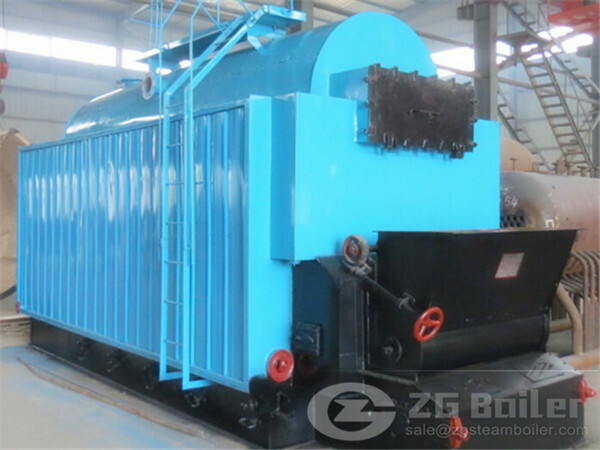 ZG 20 Ton SZL coal fired boiler is a exclusive product of our company. It use the advantages of field-assembled boiler. It adopts the downside “α” arch technology, the fuel combustibility is improved and it can be adjusted to many kinds of coals. Besides, the SZL coal fired boiler adopts the membrane water-cooling tubes wall structure to ensure the furnace seal and improve the thermal efficiency. Meanwhile, the innovated GEF slag removal technology and the economizer in the real of the coal fired boiler are equipped to achieve energy saving. Second wind feeding structure is applied to innovate the aerodynamic field. The heated particles of the fuel are threw to the front arch, which is propitious to the ignition of the fuel, at the same time, the fuel is kept in the furnace for a longer time, so that the utilization rate of the fuel is improved.